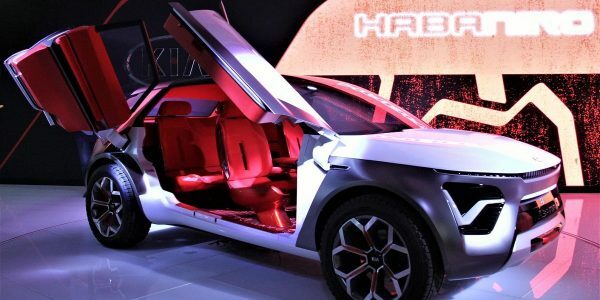 Automakers and regulators are weighing different systems for making cars communicate directly over wireless, and a demonstration last week in Europe may have brought one technology closer to deployment. 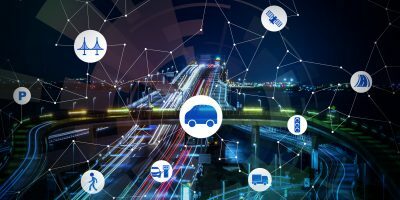 Ford, BMW and French automaker Groupe PSA made their cars talk to each other and to roadway infrastructure using cellular vehicle-to-everything (C-V2X), a system being promoted as compatible in the future with 5G. 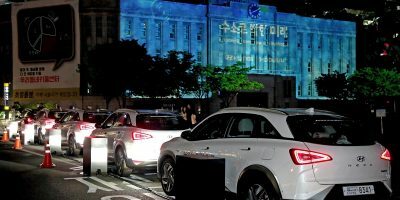 The manufacturers, along with the 5G Automotive Association (5GAA), Qualcomm and Silicon Valley software vendor Savari, called it the first live European demonstration of C-V2X among vehicles from different manufacturers. It included features such as impending crash alerts and warnings of unseen cars and pedestrians. The demonstration also showed that C-V2X works in areas not covered by mobile operators’ networks, the companies said in a July 11 announcement. Wireless communication between cars could give drivers advance warning of hazards they can’t see and ultimately help autonomous vehicles coordinate with each other for safety and smoother traffic flow. There are two major types of wireless networks lined up as possible enhancements to cars and to infrastructure such as traffic signals. 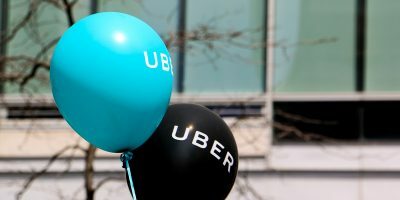 In the US, the federal government hasn’t ruled out either one, the country’s top road safety official said last week. C-V2X uses cellular technology, though it doesn’t need cell towers to work. Another set of technologies, including Dedicated Short-Range Communications (DSRC), is based on the same kind of wireless LAN used in WiFi, though it uses exclusive frequencies outside WiFi bands. Backers of C-V2X say it’s newer, higher performing and more cost-effective than other systems. It will be ready for commercial use in 2020 and is designed to be compatible with 5G, which is also expected to roll out in volume that year. There are trials happening in Europe, Asia and the US, the companies said. Those who want to use wireless LAN technologies say they are closer to commercial deployment. Volkswagen plans to put a LAN-based system called WLANp in all its cars in Europe beginning next year. Toyota promises DSRC in some cars in the US beginning in 2021. The U.S. Department of Transportation has supported DSRC but is also exploring other technologies, including C-V2X, and might allow more than one, said Heidi King, acting administrator of the National Highway Traffic Safety Administration, in a speech last week. “The department remains technology neutral relative to communication protocols,” King said. The demonstration last week in Europe involved cars from Ford, BMW and Groupe PSA, the parent company of Peugeot, Citroen and other marques. 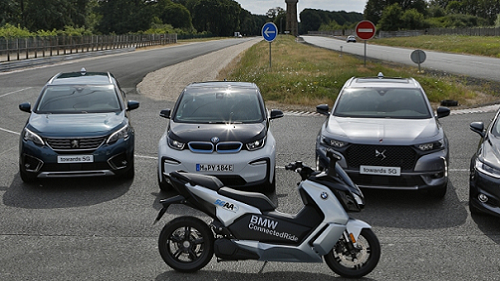 It also included two-wheeled electric scooters from BMW to demonstrate motorcycle use of C-V2X. Among other things, the demonstration included cars warning each other as they approached intersections at high speed at the same time, even without line of sight between them. It also showed slow or stopped cars sending wireless alerts to faster vehicles approaching them. Infrastructure talked to the cars, too, including traffic signals that communicated what phase they were in and sent violation warnings. C-V2X can also be used with fixed basestations along roadways to exchange information about breakdowns, traffic and weather with cloud-based services. All the vehicles used Qualcomm 9150 C-V2X chipset solutions and V2X software from Savari. Though it has been a major promoter of C-V2X, Qualcomm also sells silicon for DSRC. Audiand Panasonic also have announced C-V2X efforts with Qualcomm.